We’re counting down until Thursday, January 24th! CEO’s, Presidents and Senior Executives of small and medium-size businesses are invited to attend The Future Proof Leadership Retreat! You will design a sustainable strategy that will support your company’s growth and culture with practical, powerful knowledge that you can use right away. Lianne believes that when we are connected to our Purpose, we harness the power to transform worlds, starting with our own. She helps people transform their lives through meaningful work by offering strategic career, business and leadership guidance. Her proprietary programs, creative writing and inspiring speaking/videos help social entrepreneurs and change leaders make a difference doing what they love and aligning with their highest purpose and potential. 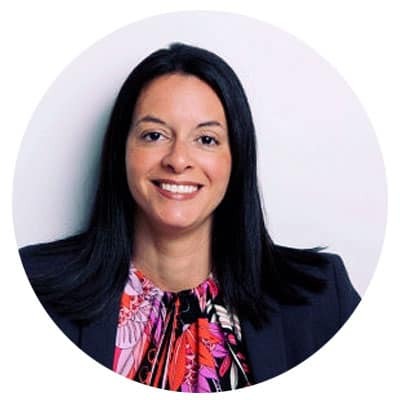 Lianne Bridges received a classical business training at Canada’s prestigious schools: University of Western Ontario (BA) and the Rotman School of Management (MBA). For the first fifteen years of her career, she worked in the corporate world serving multi-nationals like Unilever, Nabisco and United Technologies, including the global not-for-profit organization – Plan International. For almost twenty years, Lianne has been an entrepreneur — starting and leading a variety of highly successful ventures. In 2009, when her husband died of cancer, she was left alone to raise her two small children. This crisis was a catalyst for her to redesign her life and work. She wanted the freedom to look after her children and do work she loves, while making a difference in the world. She began by drawing on her business experience of helping organizations define their long term vision and strategy. Lianne adapted this process by incorporating the world’s wisdom and consciousness traditions that she was using to transform her own life. In so doing, she developed a process to help individuals, leaders, and entrepreneurs lead with purpose. The result is a marked improvement in their impact, performance and prosperity. I’ve been passionate about this topic for most of my life. When my husband died, nine years ago, I became fanatically focused on discovering my own Purpose. I traveled the world, immersing myself in the study of Purpose. I learned about the transforming power of Purpose and the detrimental effects of a lack of Purpose on both individuals and society at large.Since the beginning of time, man has likely contemplated the meaning of life. The ancient religions and philosophies have tried to provide answers. In our multi-tasking, social-media saturated, information-overloaded world, we rarely take time to contemplate our Purpose. And yet the Japanese believe that the journey of uncovering one’s Ikigai (Purpose) is an important endeavor that brings great satisfaction and meaning to life. Current research is supporting this belief. One of my favorite descriptions is by Frederick Beuchner, “Purpose is the place where your deep gladness meets the world’s needs”. I also love author, Lynda Howe’s definition, “The Purpose of life is to experience and express the infinite love within in joyful service”. On a practical level, Purpose can be anything we do to help transform lives for the better and/or contribute to the greater good in our own unique way. Some examples include: producing goods/ services that improve the lives of users, providing jobs and enhancing workers’ quality of life, developing a strong network of suppliers and business partners, or ensuring financial viability, which provides resources for improvements, innovations, and returns to investors. Growing research is revealing the many benefits of Purpose. According to a study done at Carlton University, having a Purpose in life is an indicator of healthy aging and longevity, no matter what time you find Purpose. Author, Dan Buettner, discovered that Purpose was one of the top secrets to longevity of people in Blue Zones – places in the world where people live to 100 and stay healthy. In Viktor Frankl’s ground-breaking book, Man’s search for Meaning, he revealed the leading indicator of resilience, based on his study of Holocaust survivors, to be a sense of Purpose. Not only is Purpose good for the individual, but it’s also important indicator of success for teams, communities and organizations. Author, Daniel H. Pink’s, reveals in his book, Drive that having Purpose is one of the three key employee motivators, along with mastery and autonomy. Working with organizations of all shapes and sizes, I’ve seen that those with a clear Purpose had stronger brands, connected more deeply with their clients and employees, and outperformed their competitors. My own experience is supported by a growing body of research. Organizations that harness their Purpose see significant, measurable results. They get and keep the best employees (1.4 times more engaged, 3 times more likely to stay)(1). They attract, engage and retain more customers (2). Purpose-led companies outperformed the S&P 500 by 10 times between 1996 and 2011 (3). Also, Purpose-oriented employees are good for brands. They are 47% higher net promoters of brands (4). Authors, Aaron Hurst (The Purpose Economy), and Daniel H. Pink (A Whole New Mind), both forecasted Purpose to be the next great driver of our economy. The market for lifestyle of health and sustainability (LOHAS) has doubled to $600 billion in five years, covering products and services focused on health and fitness, the environment, personal development, sustainable living and social justice. If Purpose is where the economy is heading, and living our Purpose makes us happier, healthier, live longer, and is better for the organization in terms of brand advocacy, lower turnover and higher engagement, why are so few people and organizations embracing Purpose as a key driver for their success (only 28% of US workforce is Purpose-oriented (6))? People don’t yet truly understand the value of Purpose in their lives, careers and businesses. Individuals don’t know how to define their own Purpose. Leaders don’t know how to define Purpose for their organizations. Leaders don’t know how to incorporate Purpose into the strategy and business processes of the organizations. Leaders don’t know how to connect organizational Purpose with employee Purpose. Over the years of doing work in this area, I have discovered that whether we want to embody Purpose in our lives or organizations, the process is very similar. There are five key phases that include: Initiation, Alignment, Discovery, Envision, Mastery. In the Initiation phase, we begin to imagine the improvement to our lives, communities and society. We learn the steps involved and become committed to making the change required to discover and step into Purpose. In the Alignment phase, we acquire tools to help us to deepen our self-knowledge (whether individual or organizational) and begin clearing the elements that no longer serve our Purpose. Once that is done, we step into the Discovery phase where we take a 360-degree view of ourselves and environment/market to get a better understanding of our greatest strengths and ways that we uniquely serve our community to make a lasting impact. In other words, we begin to uncover our Purpose. In the Envision phase, we define our vision, mission and approach, identifying the gap between ‘As Is’ and ‘To Be’ and then chart a path to manifest our Purpose. The last phase of the process is Mastery. This is where we cultivate the characteristics, skills, systems, and resources that will support our success in becoming an effective leader in our lives, work, teams and market. As we begin to actually manifest our Purpose, we learn what works for us and what doesn’t. Observing this, we Initiate a new process of transformation and the cycle begins again. These five phases include ten steps – 2 steps per phase (see diagram above). Combined, they are part of my propriety process called the Designing Transformation Method™️. I incorporate this method into all the work that I do with individuals, leaders and business owners to help them align with their Purpose, and achieve greatest potential. If you would like to learn more, please visit my website. Also, I’m launching a new program in January, 2019 (Ignite Your Life) that provides an introduction to Designing Transformation Method™️. I will also be leading a discussion on the Alchemy of Purpose at the Future Proof Leadership Retreat on January 24th, 2019 in the Montreal area. 1: The Energy Project, What Is Your Quality of Life at Work, 2013. 2: Edelman, The good purpose study, 2013. 3: Raj Sisodia, Firms of Endearment, 2007. 4: 2015 Workforce Purpose Index (imerative.com). 5: Harvard Business Review, Nov 2011. 6: 2015 Workforce Purpose Index (imerative.com). 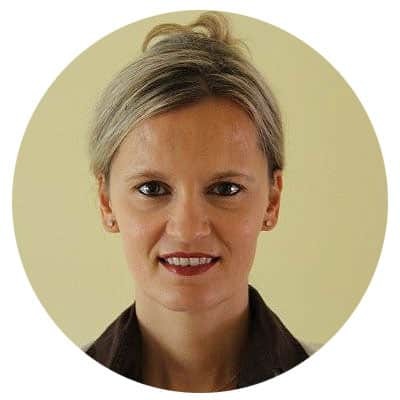 Helena is the founder and principal consultant at OD&HR Base. 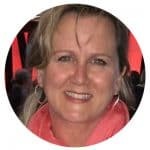 Along with her Master’s degree in Psychology, she brings in 20 years of experience in the field of human resources and organizational development. Fortunate to have been exposed to the best in class practices under some exceptional leaders in companies such as Unilever and Verizon during the first half of her career, she has successfully established her own consulting practice and is now helping leaders in small and medium-size organizations with organizational development, leadership development, and human resources management. She has also recognized that coaching is a vital part of all improvement initiatives, therefore she obtained her coaching certification from Erickson College and is now coaching numerous leaders in both, public and private sectors. Helena is extremely passionate about her work, driven and results-oriented, always striving to understand her clients’ reality in order to deliver the best and most effective solutions. 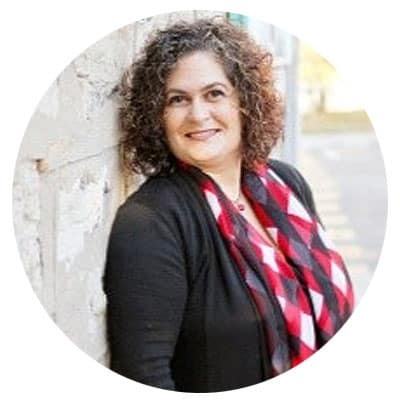 Helena has experience with various industries including telecommunications, information technology, education, transportation, logistics, government and also working with Indigenous communities in Canada. The other day I ended a leadership related training session with this quote and a personal example so fitting that I decided to share it with you as well. About a year ago, I wrote an article on the power of commitment in goal setting. I used the very same personal example I’ll use today: my running. It has been my goal to run 50km each month for the past two years. In my article a year ago, I described how I came under every month until I committed publicly to run those 50km. I did it that month, because of that extra accountability piece. I did it in October. And then again I didn’t in November, December or January. I wrote in that article (quote): Interestingly, my pattern of working toward something hasn’t changed, even when the goal was set. But the outcome has changed. Little did I know that the outcome has changed for one month only. I haven’t achieved lasting change. The reason why I haven’t achieved lasting change is because I was completely focused on the result. I did have extra motivation and accountability in that commitment piece, but it still brought out my typical behaviors and patterns and later I couldn’t replicate the result. It was only once I decided to focus on change that the results followed consistently. I set out to run 5km every second day. I made a point to concentrate on just that, nothing else. No counting was necessary. I had to be up early every second day and go for that run. It was a lot harder than focusing on the result. I couldn’t procrastinate anymore. It meant I had to change my pattern, my habits, I had to get out of my comfort zone and run even when I didn’t feel like it. I totally focused on the process, on the change. And trust me, more than once I almost quit, because it was really hard. I didn’t like it. It wasn’t what running was supposed to be for me. I was resisting it, hating it at times. Only the vision and focus on those small steps kept me going. And I have changed that pattern! I have achieved lasting change. For the past six months, I consistently ran over 60km each month without necessarily reminding myself of the goal. I have different habits now, so it’s part of who I am and what I do. The process was painful, yes, change is a painful process, but it was the only way to achieve what I wanted. If you want to change something, focusing on results simply doesn’t work. It may produce one-time results, but you won’t change. Focusing on the very process of change works. Concentrating on the next small step works. Most importantly, changing the very behaviors and habits that keep you in that comfortable safe place works. “I am a global leadership innovator specializing in leadership & team excellence. I am also an award-winning author and performance improvement professional. Experience more fullness of heart through awareness of ego and gratitude! Did you know that the ego is a necessary part of life? The problems arise when ego thinks it is the soul. In many spiritual teachings you hear about getting rid of our ego, squashing it, killing it off or just ignoring it. Guess what? We will not get rid of it nor do we want to. It is part of who we are. It gets us up, dressed and off to participate in our commitments of the day. What is needed for greater freedom is to engage in ourself with an ego and get to know it’s movement intimately. We all have different flavours of self-focus; how we want ourself, others and our environment to be; what attributes we think we have or don’t have. We all strive for our idea of perfection and all have motives. We would not be in action about anything if we did not have a motive. Our motive is based on some type of perceived perfection which ultimately causes us stress. We are trying to be superhuman whenever we strive for what is outside the human reach and capacity, Many of us have a hard time distinguishing between being Mom/Supermom, wife/Super wife, accountant/Super accountant, coach/Super coach, teacher/Super teacher. Are you beginning to get the message? We think if we are not Super something then we should sit on our couch and rot or something like that. What about being an appreciator of the universe? Is this not enough? Is it too passive? If we truly appreciated our gifts we would spend our time and energy developing them. Do you know your greatest gifts? If you are not sure of your gifts and talents, this is a great time to be quiet within yourself and get in touch with them or ask a friend. They will usually, easily see them. Also ask yourself what comes easy to you? Focusing on developing your talents in deep gratitude and appreciation of what can blossom is very different than striving. Appreciating is being totally engaged. There is no goal to strive for. We are participating in the unfolding and allowing for what wants to move through us. For years we have been focused on goal setting in our male energy dominated world. When we get into appreciating, we may find ourselves after awhile back in striving and setting goals. The ego wants to own the souls gifts and be recognized for them. The ego wants to shine… It creates a false light which blinds us from our natural, transparent light of the soul. Are we working hard to be seen and acknowledged to be or being organically transparent? To alleviate suffering, focus on what gifts you were born with rather than your idea of perfection that comes from your upbringing, socializing, beliefs, etc. The ego is always seeking to identify itself with something and maintain a specific idea of itself as a stagnant one, rather than a flexible being of light open to all possibilities. Notice the roles that you are living as parent, daughter, teacher, saviour, helper and free yourself from your identification from your roles. Ask yourself, what you are attached to being; the responsible one, problem solver, courageous one, all-knowing one, one who has it all together? These perceived roles get in the way of evolving, growing and responding to life. In your stagnation and inability to grow you may find yourself getting sick. With awareness you continue to notice yourself and possibly choose living these roles less and less and let go of judgement when you are. Be curious with yourself in relation to the roles you are attached to and your striving. Awareness occurs naturally! We move from awareness to being self-conscious. Without awareness of our ego movements we may live super confidently as a certain President does at this time. He shows us our striving for money and power! As soon as awareness happens, it crushes our self-esteem and self-confidence. We think, maybe I am not as smart as I thought I was being. Awareness may bring us to a place of being uncomfortable at times. We do everything to not feel that way. When we become aware of the self in action we may feel embarrassed, avoid or justify what we became aware of. We think that everyone and everything should be perfect at all times. If all is not flowing in your life, you may feel that you are to blame or someone else is. To have high self-esteem and self-confidence all the time is to be unaware. Accept that at times you feel embarrassed, ashamed, victimized, want to hide or run, blind to imperfections or aware of them, embarrassed about them or making others feel bad. If you can accept all of this, it is true freedom! We do not have a choice as the role of the ego is to keep the organism safe. If it perceives itself a certain way it will want to keep that safe. If you have invested 30 years in a marriage or getting many degrees and that is threatened in some way how do you feel? Or if someone says you are a bad mother? Yikes!! With all I have invested in my children and their wellbeing. Are you feeling defensive? As humans this is what we all do. Bring awareness in and surrender to it and accept that you go into reactions and become judgemental. In acceptance of this you can laugh more at yourself. True joy is knowing this and that we are always caught in it. Each one of us has different amounts of courage at different times. If one minute you justify, the next you could be blaming, and the next moment feeling like a loser or on top of the world then you are healthy. Health is the ability to adapt to different situations with different strategies. Once we see how quickly we can move through these states we can take ourselves less seriously and live more connected to ourselves, each other and all that is. Know that It is a conditioned pattern that is global to us all and that we have the choice to lighten up and allow humour to take the stage! Microsoft has a Trust Center… shouldn’t we have one too? What services would a Trust Center for people have? Wouldn’t it be great if we could control what people say and do to facilitate the trusting process? What about controlling which people approach us or what locations we visit to allow a constant state of trust? A Utopian ideal? Trust equals security… At least that is the case at the Trust Centres within Microsoft’s various Office applications. Microsoft’s welcome message explains… “The Trust Center is where you can find security and privacy settings…”. Here I can make decisions about if I trust and whom I trust. Here’s my take on how to take Microsoft’s Trust Centre to the next level; it’s not about if you trust, it’s about how you trust! Being a control freak could have it’s benefits if you want to live in a bubble… realistically speaking we need to step up our level of awareness and look at trust in a new light. Here are seven questions to get us started. HOW can I get people to trust me more? HOW can I show others that I trust them? What actions would enable a stronger connection? Stronger collaboration? HOW can I get people to trust each other? What could I say and do? HOW can I look at my work, home, or community environments to better identify where the lack of trust impacts the relationships? HOW can I say things that will bring people onto my team? HOW can I act? HOW do I interpret actions and words? Does this allow me to facilitate/block trust? In March 2012 I flew to Dubai to facilitate a 5-day workshop on presentation skills and instructional techniques for Emirates trainers. The workshop was a huge success and the experience we created was exceptional. That was the easy part! Getting to Dubai called for me to look at “how” to trust and not “if” to trust. That was the hard part! On the day of departure, a snowstorm on the east coast canceled my flight to New York. I called my client in Dubai… they were on it. I emailed my contact in Montreal and Geneva, they were on it. No flights out! How can I stay positive and make this trip a success? How can I trust the airline industry to get me to Dubai to do what I do? With a new flight through London for later that day, I thought the worst had passed! Little did I know that the worst was yet to come! Additional flight delays on my new flight meant I would not make the connection in London to Dubai. Back on the phone… at this point, everyone had gone home for the day. I kept telling myself, it’s not about if, it’s about how. How can I get the check-in agent to trust me and this story? How can I explain this calmly and respectfully (understanding her perspective) so that she gets me out on a flight and checks my bags through to final destination (even without a confirmed flight out of London to Dubai)? Sounds impossible, doesn’t it? Well, I decided to give it a try! I put my faith in the system and its people. I explained my situation patiently with facts and figures (paperwork helped! )… and managed to get on the only flight out to London and the amazing attendant also checked my baggage through to my final destination so that I could make the connecting flight – I would have to get a separate ticket in London! Being calm, confident and respectful, instead of frustrated and desperate helped throughout my entire journey. I learned an important lesson that day in the Art of Influential Heart-Centred Communication – what got me through was my focus on the how! A simple shift in perspective allowed me to see things from their perspective… this helped me to create a bridge from my frustration/stress/anger to a place where I could cultivate trust and collaboration. The team effort, emails, phone calls, respectful conversations, and focus on trust got me to Dubai! Of course, Air Canada, Emirates, and IATA staff helped! Can you think of an event where your focus on the if caused the situation to go from bad to awful? How could these six questions have helped you be successful? What situations are you in where trust in the team is the only way to success? How can these six simple questions help you cultivate trust and collaboration in your workplace? 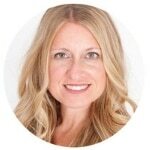 Christina is a multi-disciplined Strategic Wellness Specialist with over 20 years of experience. 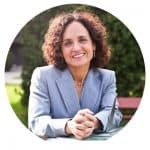 She has worked in many areas of the health, fitness, and wellness industries offering an integrated modality of at-work programs and services that stem from working with well over 1200 clients and organizations over the course of her career. As a result of her extensive experience, Christina has a keen ability to see the global perspective, assess and marry the needs of each organization and its individual employees, and develop and implement an overall strategy for success. Christina’s clients enjoy working with her because she offers a highly knowledgeable, personalized, nurturing, sustainable, and action-oriented service that delivers results. She has a plethora of experience and degrees, and an insatiability for continuing education. She definitely keeps things interesting. Alongside a dynamic team of health, fitness, and wellness practitioners, Christina takes a very hand’s on approach with each organization and its individual employees. But most importantly, she thrives on inspiring individuals to take action and strive toward their own unique version of peak wellness, whereby leading to optimal individual and organizational performance. Specialties include: Designing and implementing a Workplace Business Wellness Vision & Plan for long-term success, Health, Fitness, and Wellness Evaluations, Transformational Group Program development and facilitation, Speaking, Naturopathy, Health Coaching, Specialized Body Work, Fitness testing & Training. Business owners, managers, and HR departments all want to have employees spend more time being engaged in the office and for that time to be spent performing optimally. So how does a company go about building an inspired and engaged workforce? The reality is that there are several different key areas that an organization needs to address, many of which will be explored at the Future Proof Leadership Retreat, a powerful day of insight and exploration on the topic of building an inspired and engaged workforce, to be held on January 24th in Montreal, Canada. In this article, as well as at the retreat, I will share how offering a strategic workplace wellness program in your company is one of the top key areas to address if your goal is to build an inspired and engaged workforce. One of the most important shifts in the corporate world in recent years has been a growing commitment to employee health and wellness incentives and programs to combat rising health issues and health care costs affecting performance. More and more companies, big and small, are caring about the well-being of their employees. In doing so, they are discovering that investing in the health, fitness, and wellness of employees is not only kind, but makes good business sense. After all, your employees are one of your most important asset. Studies show that people, who lead healthy lifestyles tend to be happier, motivated, engaged, and more productive. So, by investing in the health and well-being of your employees, you increase the chances of having employees who will bring the best of themselves to the office every day. On the other hand, employees who lead unhealthy, sedentary lifestyles are tired, distracted, depressed, frequently ill, have negative attitudes, and are at increased risk for more serious medical problems. These issues not only affect people in their personal lives, but they greatly affect their productivity and therefore the organization as a whole. One of the top solutions is to Implement a wellness program that reaches, teaches, and supports employees as they learn how to eat, think, and move, so they will be healthy, happy, engaged, and productive people who better manage stress, are more resistant to catching every cold and flu in circulation, or worst, developing more serious health conditions, and can therefore bring more of themselves to work each day. To state it very simply, in order for people to thrive, people need to feel good. But what does that mean exactly? People feel good when they have strength, stamina, and general health and well-being. People feel good when they have enthusiasm and the mental and physical energy to get up in the morning and do all the things they want and need to do. People feel good when they know how to reduce and manage the stress in their lives. People feel good when they rid themselves of ailments affecting their quality of life. People feel good when they are happy in their jobs and work in a positive and uplifting environment. People feel good when their finances are in order. People feel good when they are not suffering with poor health or chronic pain. People feel good when they like what they see in the mirror. People feel good when their life has meaning. People feel good when they enjoy positive work-life balance. And the list goes on. At Peak Santē, we aim to help people feel their best! We believe in inspiring each individual employee to take action and strive toward their own unique version of peak wellness, with a very personalized approach, and integrated modality of at-work programs and services whereby helping those employees put the pieces in place to meet their individual criteria to “feel good”. And, we firmly believe that in order to achieve peak wellness, each employee must address nutrition and lifestyle in a step-by-step personalized way that addresses the unique person they are within the larger organization. In today’s stressed and time-strapped society, corporate wellness programs are becoming an increasingly important and necessary benefit to both companies and their employees. Not only do these programs educate but they also improve the well-being, job satisfaction, and performance of those employees who participate. Furthermore, at-work programs provide the access and therefore opportunity for participation. People are increasingly busy, overwhelmed, stressed, and lack the necessary motivation and resources to focus on their health and well-being. In essence, they need help. This is where the organization needs to step in. An organizations leadership needs to take the initiative and develop a culture of wellness within their walls and then provide at-work fun, educational, practical, and effective programming options to satisfy the objectives of management while meeting the desires, limitations and realities faced by today’s workforce. As a company’s Strategic Business Wellness Partner we help organizations create a vision of wellness that matches their unique corporate culture. From there, we design and implement an integrated modality of at-work programs and services that focuses on helping their employees reduce stress, treat ailments affecting their quality of life, and create work-life balance. We then reach, teach, and support employees as they strive toward their own unique version of “feeling good” by providing tips, tools, education, activities, and support, both individually and collectively, focused on improving sleep, relaxation, exercise, hydration, nutrition, stress, self-care, purpose, and healthy relationships. These are the foundational blocks of a healthy & thriving person and therefore employee. The result of an organization who promotes a culture of health and well-being, and provides opportunities for participation is an organization that will create a workforce that is inspired, engaged, and ultimately brings more to the office each day. Each of these goals is absolutely possible to achieve when an organization and its employees are geared toward peak wellness. The ability to achieve these goals, however, depends largely on how you design and execute your wellness program. In my experience, health improvement can happen, even in as early as one year, but only with the right program design, continuous evaluation, and a commitment to sticking with it until the right mix of solutions for your organization is in place. This right mix of programs and services should be determined and designed around a strategic Workplace Business Wellness Vision & Plan to ensure the long-term success of your wellness program initiatives. Corporate Wellness programs are well worth the time, money, and effort invested in them. The success record of companies who strategically utilize these programs indicates that an employee who is happy and healthy is more productive, motivated, engaged, stays away from work due to illness less often, and remains employed with the company longer. Investing in employee health is beneficial to the employee as well as to the overall success of your company. Developing this inspired and engaged organization is achieved by having an impact on the health and well-being of each and every one of the people within your organization. The whole is only as good as the sum of its parts philosophy. Strive to make your wellness program fun, accessible, and results driven and it will slowly but surely become what vibrates within the walls or your organization. Focusing on “Peak Wellness for Optimal Performance”, Peak Santē’s mission, is so important for leaders who want to build a thriving workplace. I am looking forward to sharing my experience and advice on how to make simple additions that bring big benefits at the 2019 Future Proof Leadership Retreat. If you’d like more information on creating a strategic Workplace Wellness Vision and Program for your employees, please visit www.peaksante.com. We would be more than happy to assist. The founder of Integria Consulting, Samantha specializes in talent acquisition. The key values of honesty, integrity and transparency guide corporate candidate as well as client selection. She’s a strong advocate of partnering with corporate HR teams and clients to find the perfect match and is an outspoken critic of poor hiring practices. She is a staunch believer in leveraging contacts to support job seekers and takes every opportunity to coach at all levels with both candidates and clients. She also supports clients in the redesign of their talent and acquisition process and has delivered training on how to build and leverage networks to source talent. When she isn’t busy recruiting talent, you’ll find Samantha helping people to realize their professional goals and leveraging contacts to help connect people with careers. She has spoken at events and in classes hosted by McGill and Concordia. She has also been a guest speaker at executive outplacement firms, supporting senior level employees in career transition To continually promote excellence in HR, Samantha launched the monthly HR Roundtable Breakfast Series, gathering HR professionals to discuss topics of interest in HR. This series went on for nearly 10 years. She is also a mentor with Youth Employment Services Montreal and Chair of their Annual Tune In To Yes Gala Planning Committee for 2018. She has been an instructor at McGill University, teaching a course on staffing and selection and led a seminar at a UNESCO retreat on the importance of networking. Prior to Integria Consulting, Samantha honed her HR skills as an HR coordinator before moving to a staffing agency where she held the position of Placement Director. 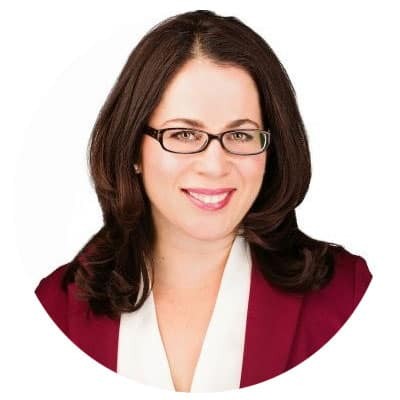 Samantha has a degree from McGill University and is in her 13th year as Director of Integria Consulting. You extend an offer to a candidate and they disappear. They fail to return calls, emails and you cannot believe how rude and unprofessional they are after demonstrating the opposite in interview. Now let’s switch the tables for a moment. A candidate goes on an interview, provides their cv and then you disappear. You fail to return calls, emails and the candidate cannot believe how rude and unprofessional your company/hiring manager is after demonstrating the opposite in an interview. Respect absolutely goes both ways. Please. If the position is on hold, if you’re going on leave, on vacation or quitting the company, just communicate back to the candidates who have been in play for your role. You are burning your company name and reputation and I cannot get over how many times I hear stories from candidates who now make lists of companies that don’t, in fact, demonstrate respect for the talent they interview. What’s worse? These candidates could end up interviewing you one day. The world is a small place. Manage your brand accordingly. Have you ever avoided a career or business opportunity because it required you to speak in public? Did you ever have a great idea you wanted to share in a group setting but didn’t because of your fear of speaking in front of a group of people? 1. Prepare Thoroughly…Then Prepare Some More! Top athletes do not get to the Olympics by swimming one lap, nor do speakers excel by ‘winging it.’ There is no excuse for not rehearsing your presentation. The very act of rehearsing your speech gives you the opportunity to hear what you’re saying out loud, which allow you to refine the language, enhance your stories or examples, go over transitions and key points in your presentation, and get a better sense of what content works and what doesn’t. Stand up, move around, and give the speech as if you were standing before your audience. Run through your presentation as many times as required so that you are completely comfortable with the material. You should know the presentation so well that you could do it without slides, and minimal use of notes. If you’re brave enough to rehearse in front of others, ask them to give you very specific, honest feedback on your speaking style. Is the content clear, concise and organized? Is your speech opening engaging? Is your conclusion memorable? Is your delivery smooth? How you think you present and what the audience actually sees are often two very different things. Getting honest feedback or videotaping your speech and reviewing it critically are the two best ways to see yourself the way the audience sees you. 3. The Early Bird Gets the…Appreciation? A speaker should be ready and waiting for his or her audience – never the other way around. When you arrive at your speaking venue early, you’ll have a chance to set up all your equipment, get technical help if required, and get a feel for the area in which you’ll be speaking. Once this is done, you can then take the extra time to review your presentation, or better yet, greet members of your audience as they arrive. Once you meet them, they’re not strangers anymore. And it’s always easier to present to a room full of friends than a room full of strangers. Murphy’s Law states that “whatever can go wrong, will go wrong.” And Murphy loves to sabotage unprepared speakers. Make a list of all the things that can go wrong, and make a backup plan in case any of them actually happen. You’ll want to make sure that you arrive early; bring an extra copy of your presentation on a memory key; an extra printed copy of your speaker introduction to give to the person introducing you; bring an extra battery for your laptop and your wireless presenter; be ready to give your presentation without your slides in case the projector melts down five minutes before your presentation; make sure you’ve got some water nearby in case your mouth gets dry. A backup plan is your best defense. Sometimes, speakers get so nervous that they lose their breath, to the point where they sound like they just ran a marathon. If you find yourself out of breath, simply take a moment to compose yourself. Pause for one extra second, take a small sip of water, and continue your speech. There’s no need to apologize for it or call attention to it. Create a powerful and lasting first impression by dressing in your most professional clothes. If you make an effort to look professional, you’ll feel more confident. And very importantly, be aware if you’re frowning or looking nervous before you speak. Showing your anxiety on your face only shows your audience that you’re not confident, and that, in turn, makes them less confident that you know what you’re talking about. And never tell your audience that you’re nervous – it adds no value to your speech, and it’s certainly not the first impression that you want to give them. 7. You May Always Be Nervous – and that’s OK! Many people believe that they’ll never be great public speakers until they can overcome their nerves and be truly confident. This is a total myth. Ease up on your expectations and give yourself permission to be nervous. Even professional speakers get nervous before they perform before an audience. The difference between a professional speaker and the rest of us mere mortals is that the professionals take steps to manage their nerves, they make preparation and practice a priority – and they know that whatever happens, they’ll get through it. There is a quote by George Jessel (also attributed to Steve Allen) that says, “The human brain starts working the moment you are born and never stops until you stand up to speak in public“. Public speaking can be intimidating, terrifying, and complex – but it doesn’t have to be. Apply these seven principles to manage your fear of public speaking and you’ll be on your way to giving career-building, reputation-enhancing presentations every time you speak. Do you need to boost performance, improve engagement, provoke leaders, and shift mindsets? How?…by giving you and your people tools and a proven process to have more; more time, more balance, more joy and more fun! And when you and your people have more – so does your organization! Her wisdom comes from 25 years as one of the top Senior Directors in the cosmetics industry and has personally sold more than $500,000.00 of lipstick – placing her in the top 5 in a sales force of 30,000. Host of Your Soul Journey, a one-week women’s empowerment retreat in the Caribbean. Former Host/Emcee of momondays montreal, a stand-up, open-mic, dinner-theatre style, story-telling show. She is a Certified Color Code Trainer – a psycho-dynamic assessment in core motive. Her background is in Sciences and she holds a Diploma in Creative Arts. Glynis speaks to both French and English audiences to clients that include: Bombardier Aerospace, HSBC Bank, Rockhurst University, Park University, Tack Canada, McGill University Desautels Faculty of Management, West Island Women’s Centre, WE2 Women’s Entrepreneurial Exchange. 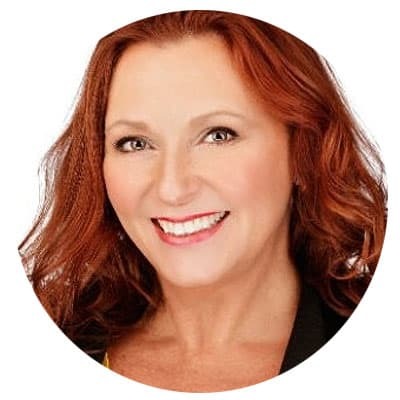 Chief Juicer, Glynis E. Devine, will inspire you to ‘Squeeze the Day!’ so you can enjoy MORE… for you… more for your people. To learn more about The Future Proof Leadership Retreat, please click here. To RSVP to this retreat, please click here.